Who needs Sherlock Holmes when there’s Hilde? This little girl is one smart cookie. Best of all, guess what? She’s not just a story character! Nope: Hilde is a real girl too! She started out following her dad, a journalist for the New York Daily News. Soon she was reporting on crime stories and publishing her own local newspaper. So what’s it like to be Hilde? Find out! A bear has been spotted nearby! The first clue: a mangled bird feeder with scratch marks all over it. But where is the bear? 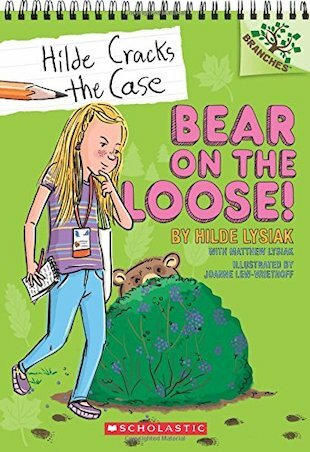 Hilde needs to crack this case before someone gets hurt!